Clothes moths are not dangerous but can cause serious damage to your personal belongs such as clothing, carpets and other materials made of natural fibers. Clothes moths can cause serious damage to your personal belongs such as clothing, carpets and other materials made of natural fibers. There are two types of clothes moths: casemaking and webbing. Casemaking clothes moths measure up between 11-13 mm, wing-to-wing. They are range from buff/golden to brownish, with three dark spots on front wings. Webbing clothes moths measure up to 14 mm, wing-to-wing. They are commonly buff/golden with a tuft of reddish hairs on top of their head. Clothes moths prefer damp conditions such sweat on clothing. They can also be found in cracks or crevices near infested materials, carpets and other materials made of natural fibers. Female clothes moths lay an average 30 to 50 eggs and attach them to material such as under shirt collars, carpets, drapes and other upholstery. The life cycle between the two clothes moths differ. 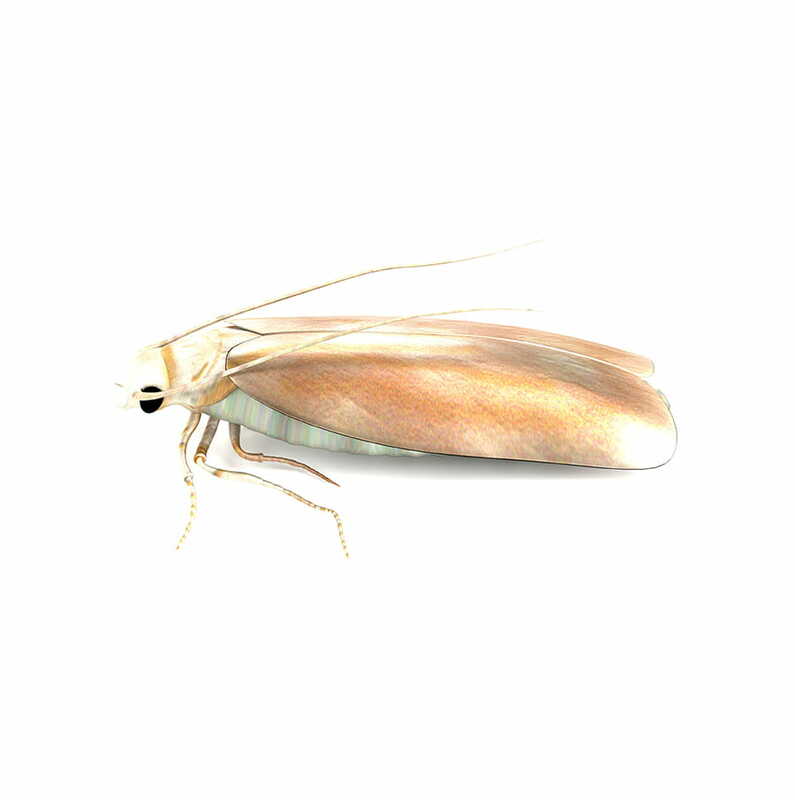 Young, casemaking clothes moths have a developmental period of 46 to 116 days. A female moth will live three to eight days while a male will live three to five days. Young, webbing clothes moths have a developmental period of 50 to 90 days. A female moth dies after her eggs are laid, whereas a male clothes moth may live up to 28 days. How do I know if I have an infestation of clothes moths? Silken tubes in the hidden portions of clothes such as under collars, will be evident of clothes moths. Holes in material and fur hairs clipped at the base causing loose fur and exposed hide, are also indicators of a clothes moth infestation. In some situations, cases can also be found in a crack or crevice away from the infested materials. 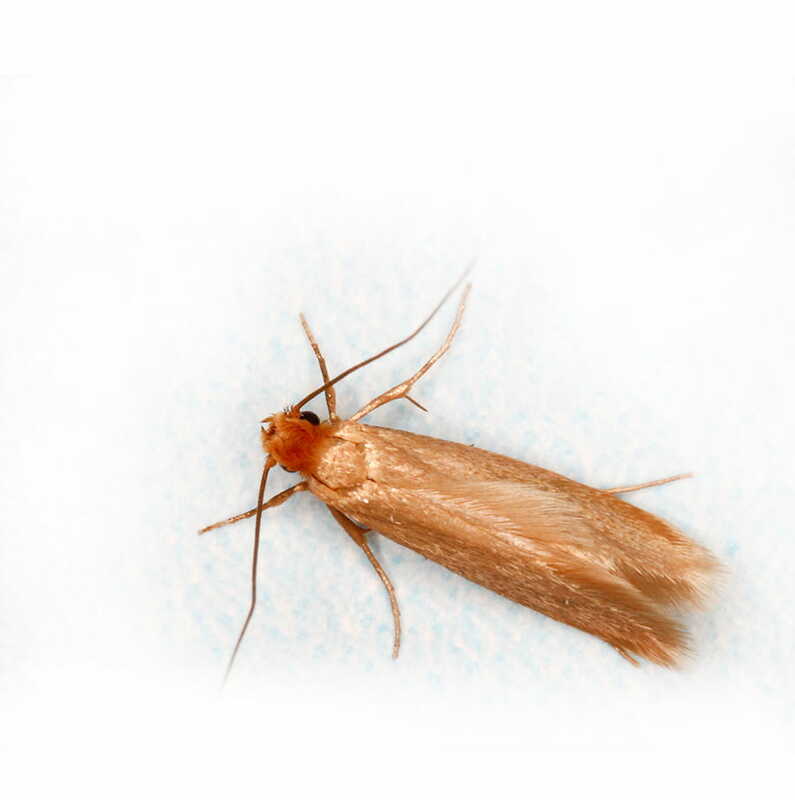 Can I do anything to prevent a clothes moth infestation? Regular inspection and cleaning of clothing, carpets and other materials made of natural fibres is essential. How do I control an infestation of clothes moths? 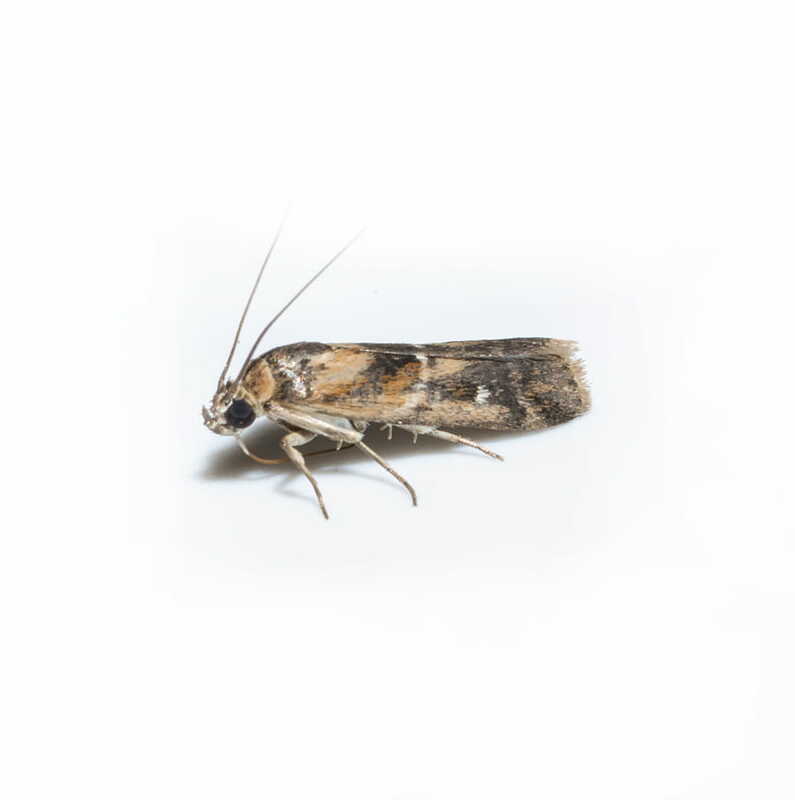 Your local Abell Pest Control office has products developed to control clothes moths. Depending on the severity of infestation, a single control measure may not be effective, and an integrated program conducted by an Abell service technician will be required.